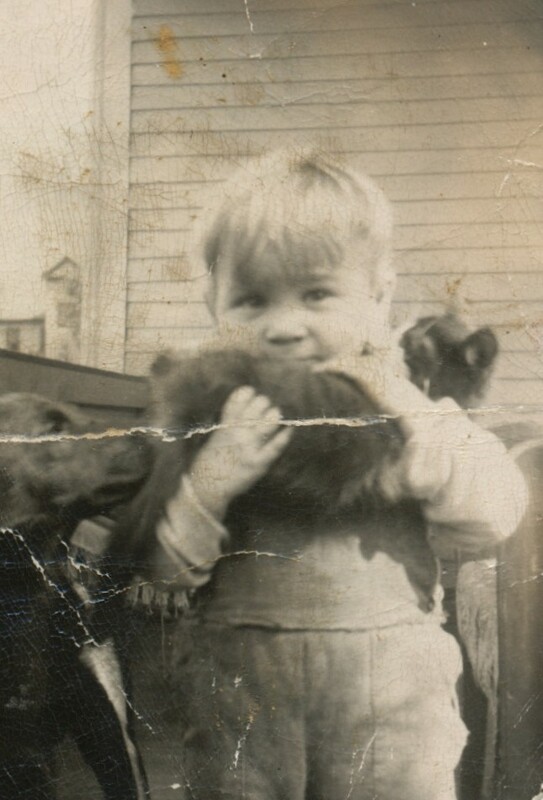 These two cute photographs I believe are of Andy Cook around age four. 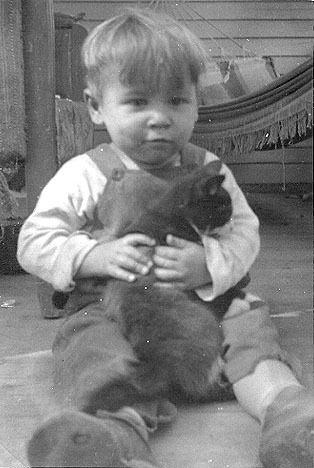 I am not sure where the images were taken, but Andy seems to be enjoying the company of a very patient kitty cat. According to Andy's older brother Larry, these photographs were taken on the back porch of our house on Nellis Park in Rochester. The dog in the photograph was the much loved Nobby. Thank you Larry for the information!